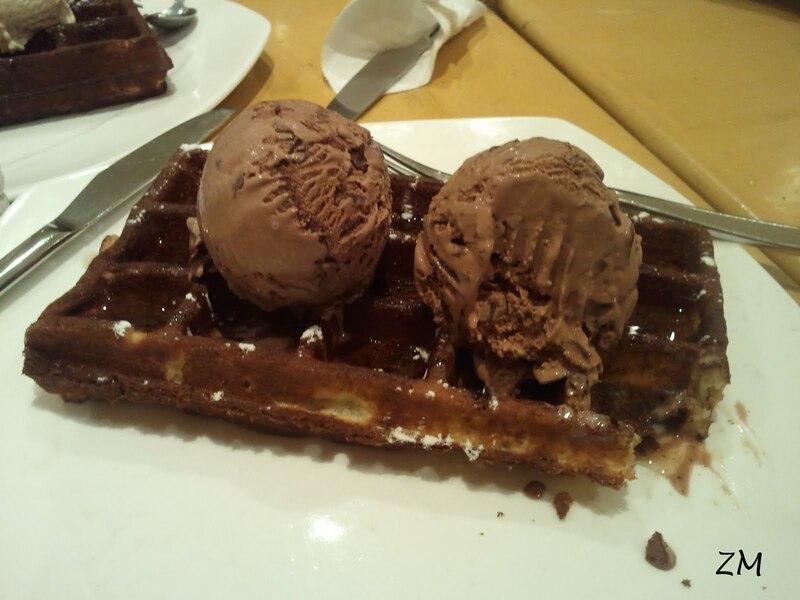 Movenpick – Belgian waffle with chocolate ice cream. The other day my aunt showed me a pendant she got that totally resembled a waffle. Seeing that, my cravings resurfaced and I just HAD to have a Belgian waffle.